We revealed Deadlifts character theme on the Streamisho yesterday, and now it’s ready for your listening pleasure on Youtube! 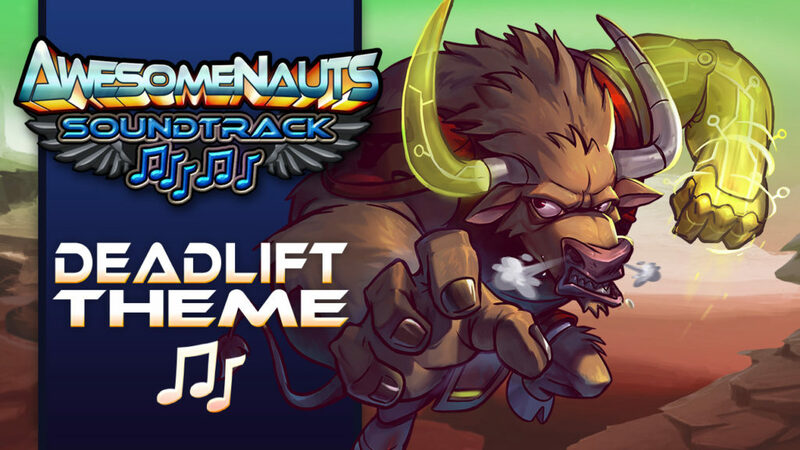 Deadlift will be available for free to all Awesomenauts players when Awesomenauts 3.5: Unleash your Power hits on March 8th! In addition to this update bringing you a new character, it’ll also include the long-awaited level editor and Steam Workshop integration! Grab those dumbbells, break a sweat, and crank up those speakers! Are you excited about the theme and want to know what the killing spree sounsd like? We’ll be unveiling that one in the weekend, so stay tuned!